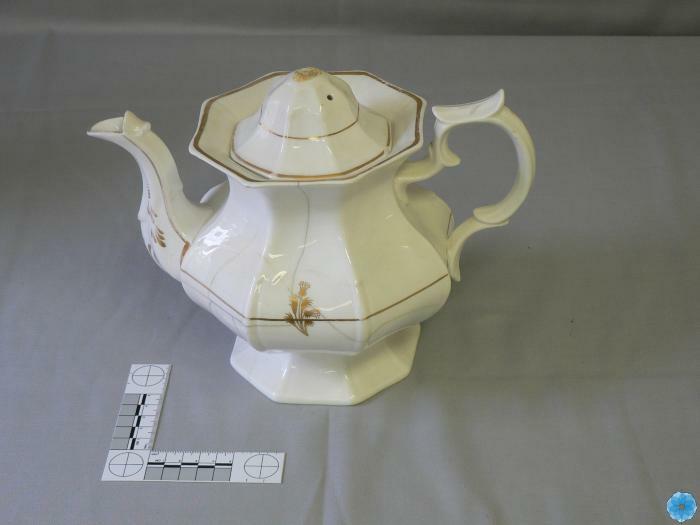 Description: The teapot has gold streaks on the pour spout. There is a gold line going the whole way around. Gold also encircles the rim. There is a thistle flower on two sides. The lid has two gold circles the whole way around.